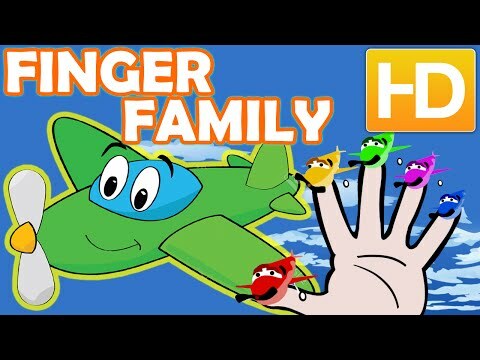 Finger Family Airplanes Nursery Rhymes Songs for Children. Learn and Enjoy this Amazing Transport Song for Kids and Children. Trough this Transport Song, your Kids will get to learn about the different Airplanes and Colors. Learn and sing along this Airplanes Cartoon Finger Family Rhyme.